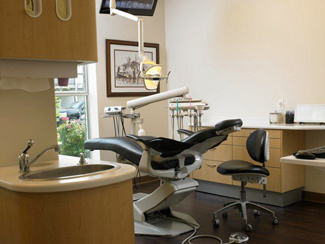 At McCabe Dental Clinic, we understand that taking care of your family comes first. Choosing a family dentist in Gulfport who can provide comfort for even your youngest child can be an ordeal. So stop here and let your family rest in the care and comfort of the McCabe Dental team. We believe that taking care of gums and teeth is an investment that lasts a lifetime. Award your beautiful family with a lifetime supply of beautiful smiles. Our website is made for you. Examine what we have to offer and assure yourself that McCabe Dental Clinic is the best family dentistry choice in Gulfport. Our team of friendly, caring professionals is trained in the latest techniques in virtually pain-free care. Copyright © 2013 McCabe Dental Clinic. All Right Reserved. Web Design by Bruner and Company.